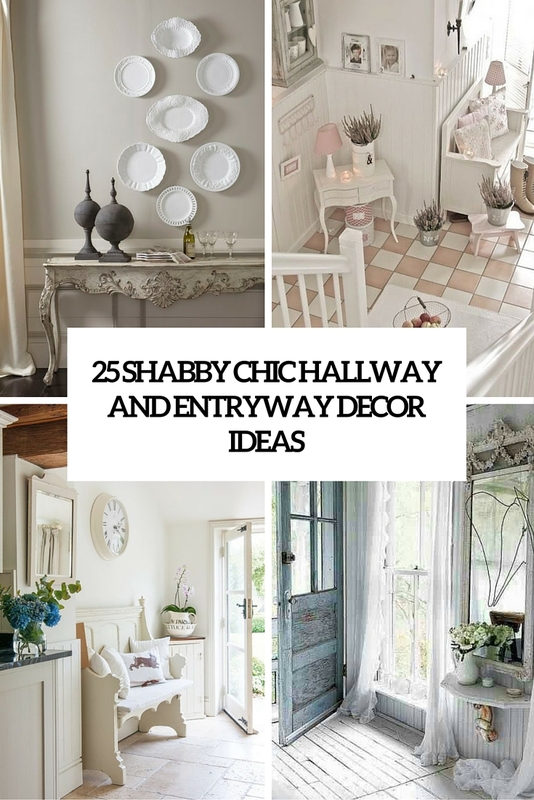 We continue discussing shabby chic spaces, full of charm and beauty, and today we’ll have a look at shabby chic entryways and hallways. 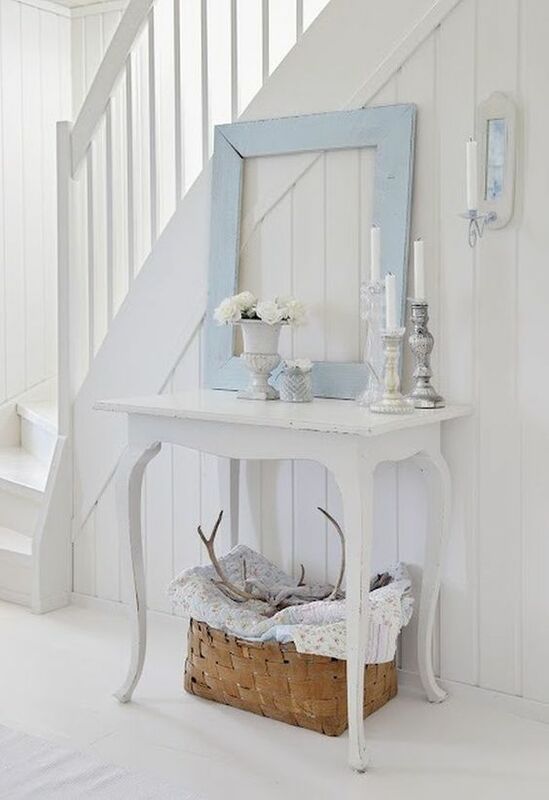 Decorating a shabby chic entryway or hallway is actually the same as any other space but you may need some tricks cause this space is usually tiny but it should be functional and stylish at the same time. 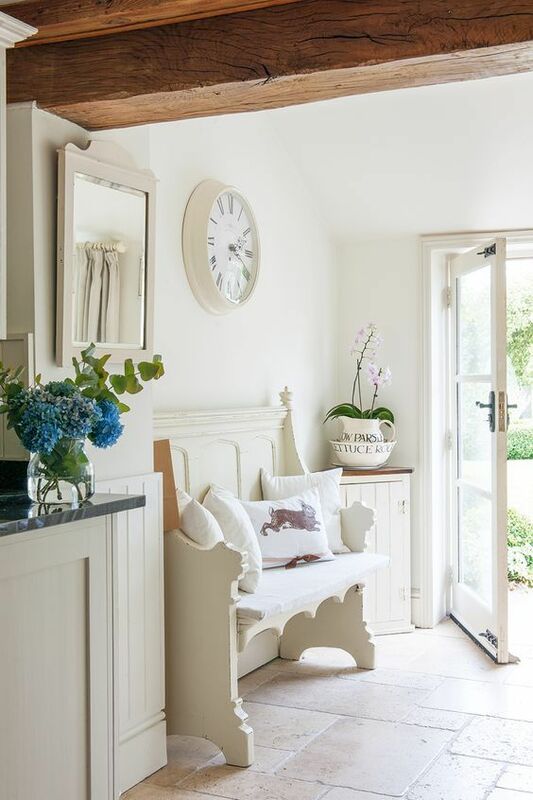 White, cream, buttermilk, all kinds of neutrals and pastels are welcome here! 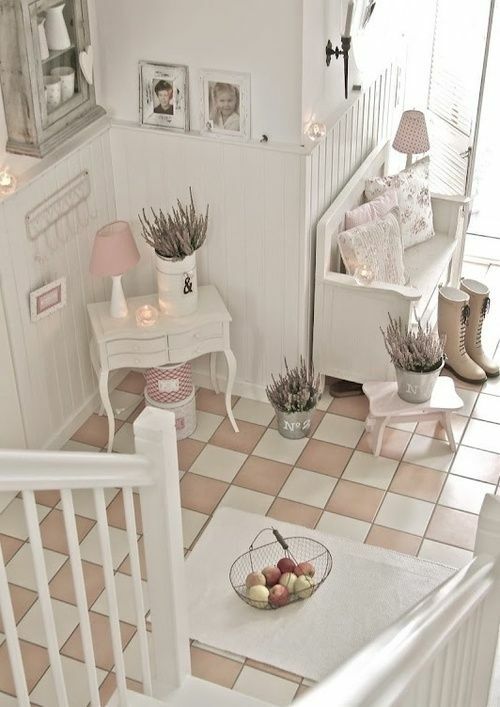 If it’s a tiny hallway, avoid bold touches at all, opt for whitewashing. 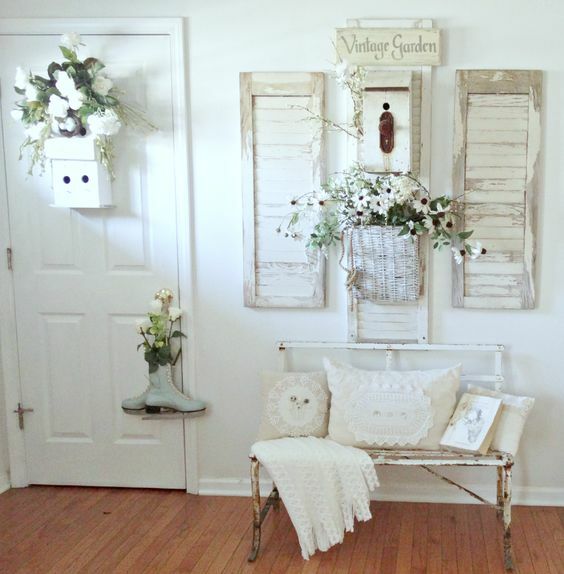 You may try stenciling walls, choose floral textiles or wallpapers, add rustic touches with warm wood pieces, burlap or twine, rustic and shabby chic styles mix very well and look awesome together. 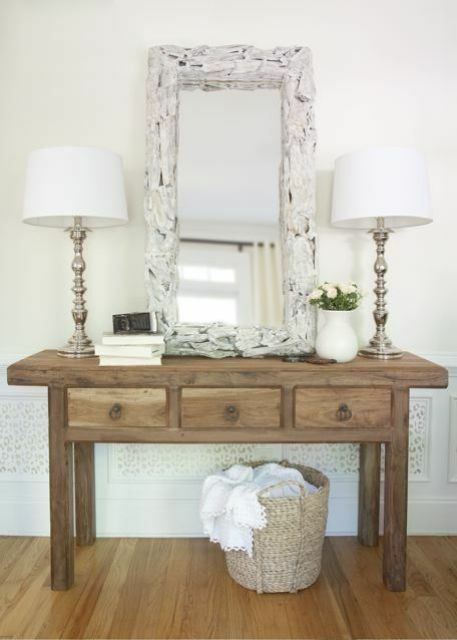 As this space is often small, be laconic and choose practical yet stylish furniture. 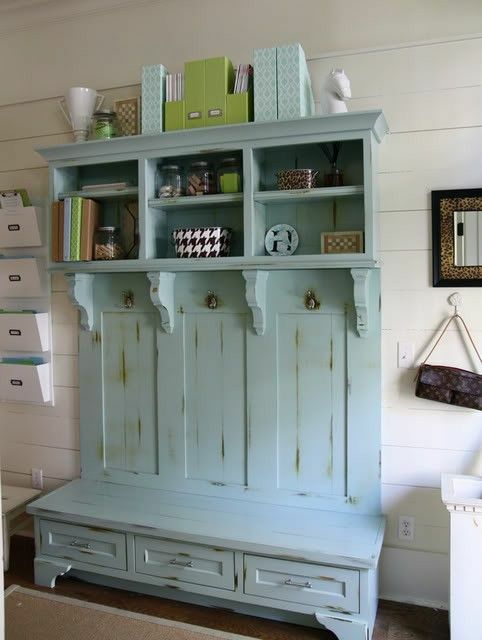 You may need some console, a storage bench, a couple of shelves or racks. 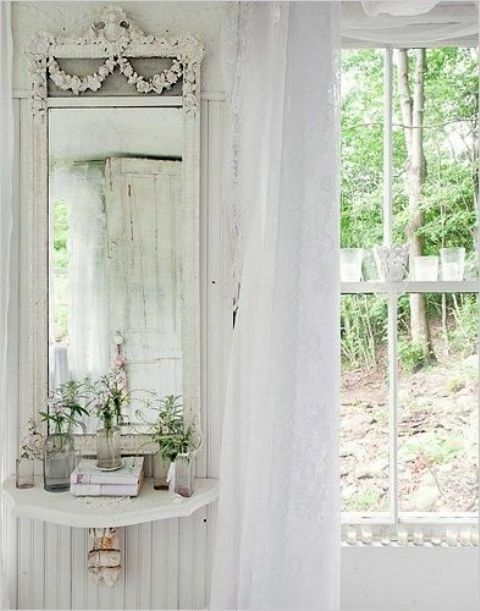 Pay attention to the large mirrors in vintage frames, they can make the whole look up. 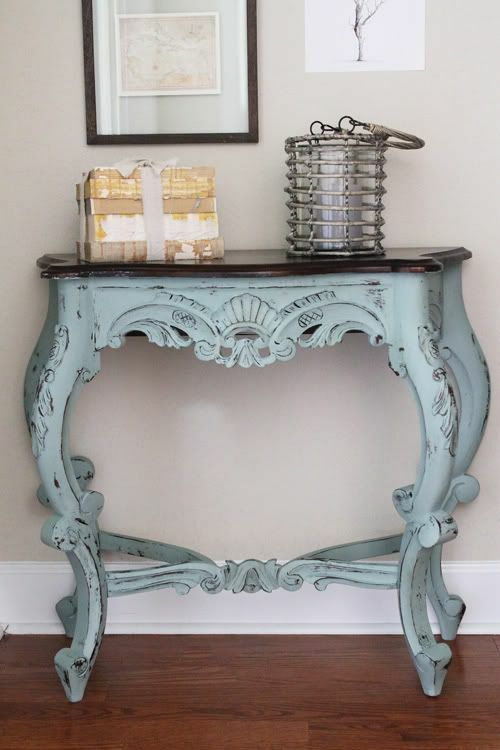 Find these pieces on the flea market or in your grandma’s home and renovate them to match your interior. 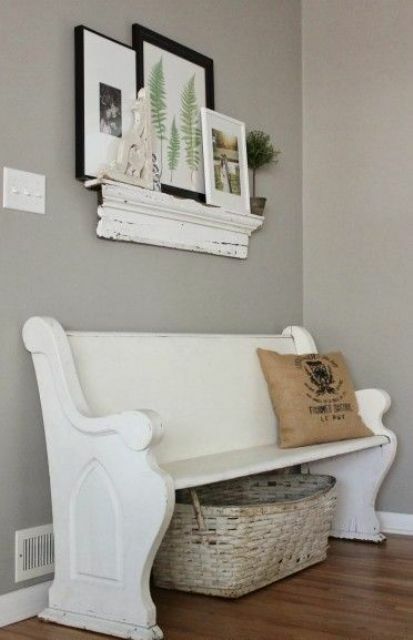 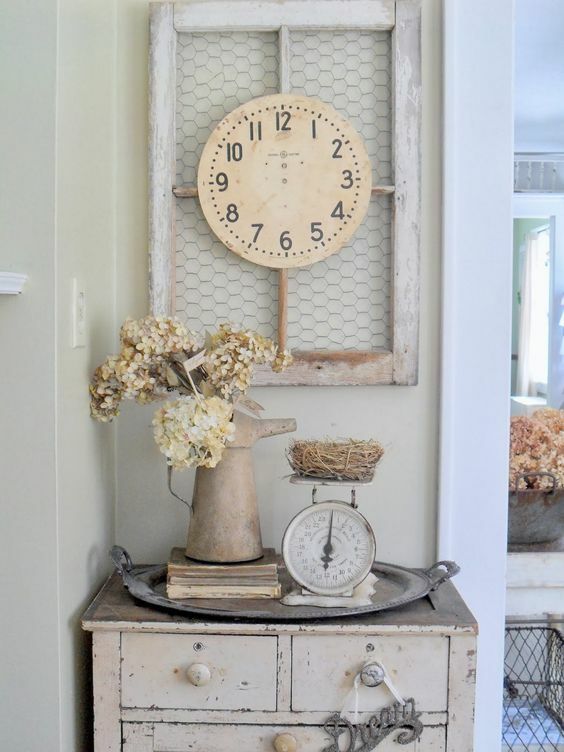 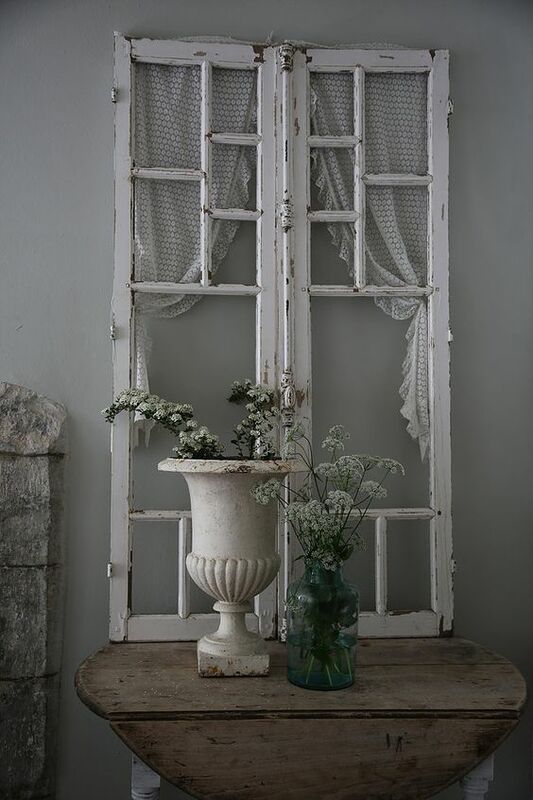 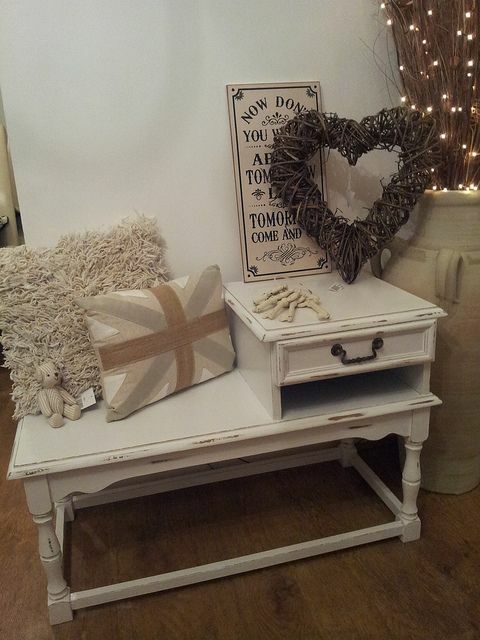 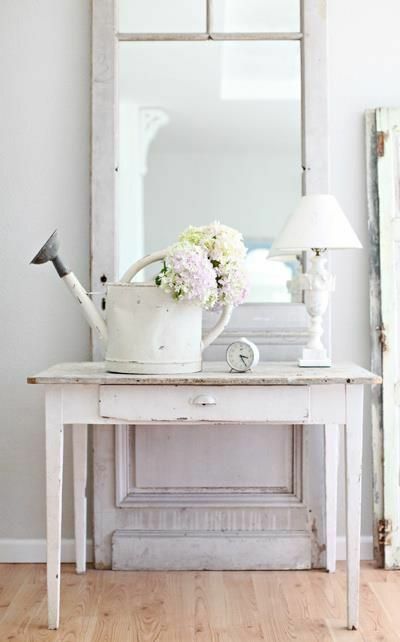 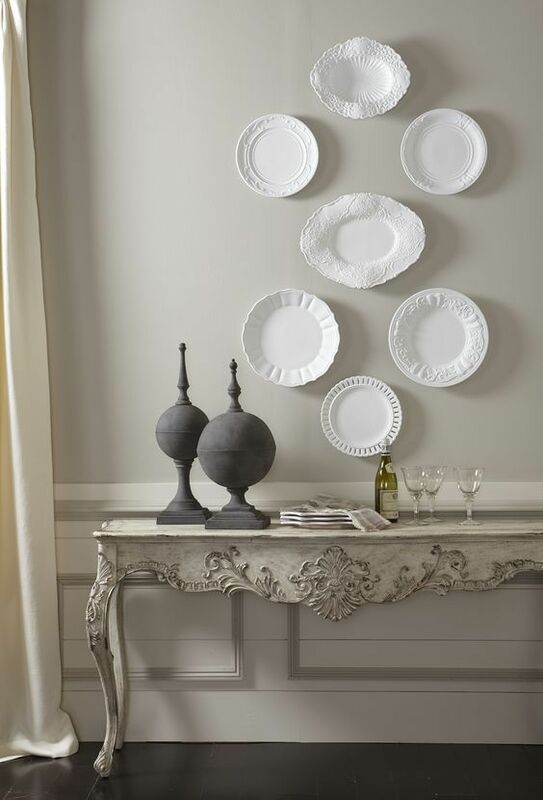 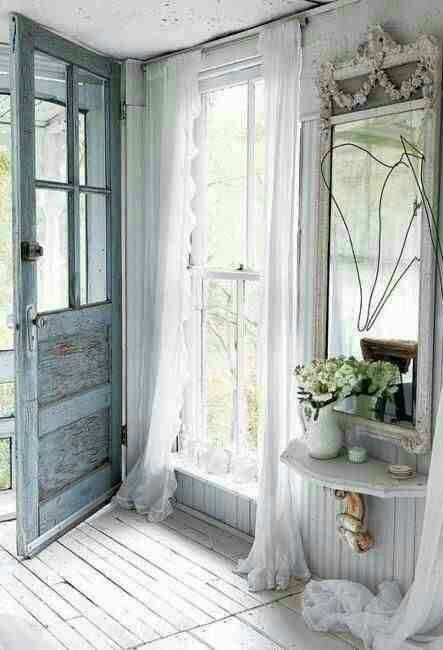 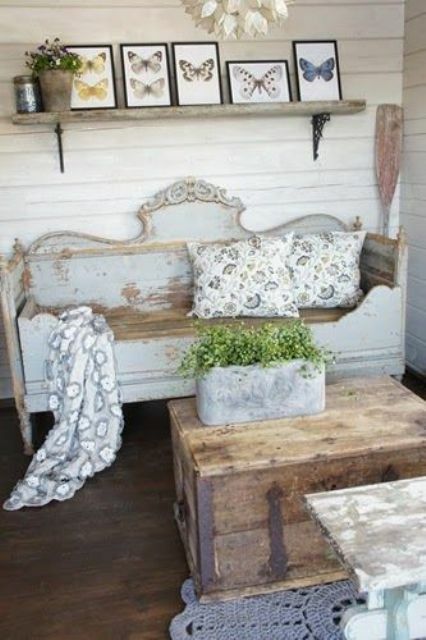 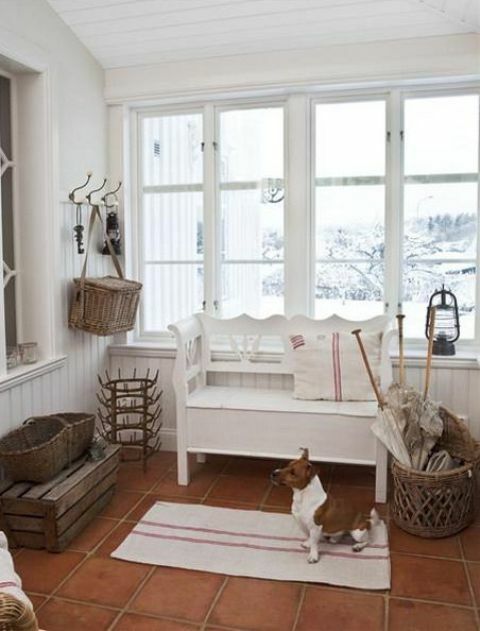 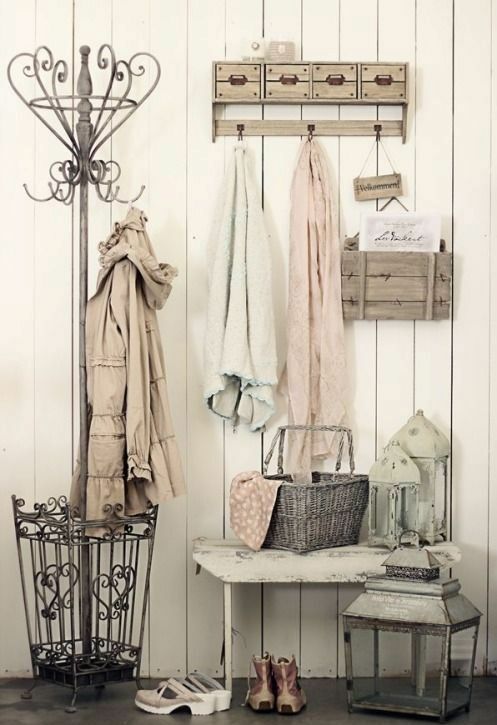 Whitewash, age or paint them in pastel colors, distressing is another cool idea, characteristic of shabby chic style. 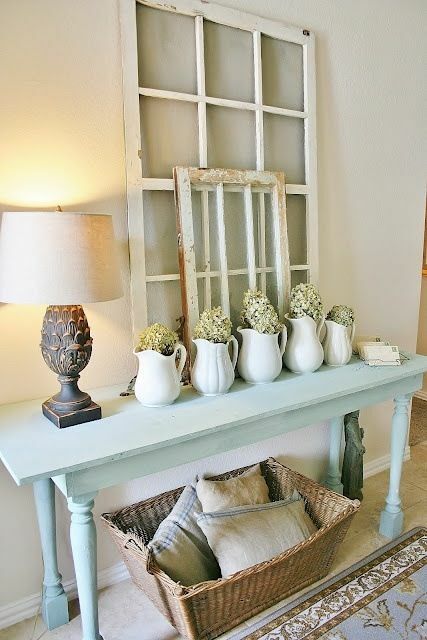 Such approach will save your budget as DIYing isn’t expensive,s o you’ll decorate your entryway for cheap. 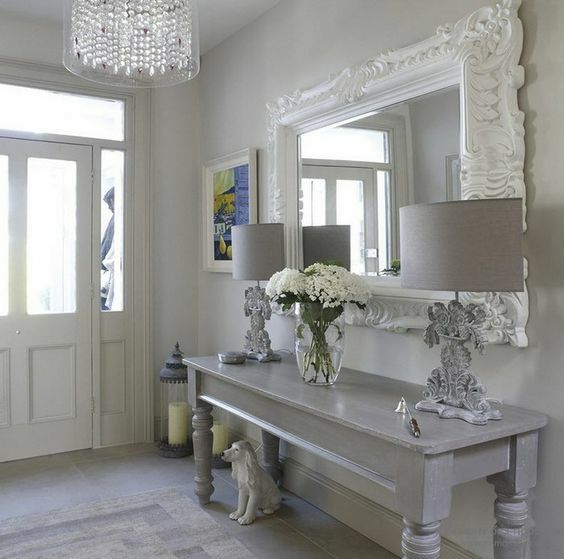 An entryway is often the first space that a guest sees in your house, so it should make some impression. 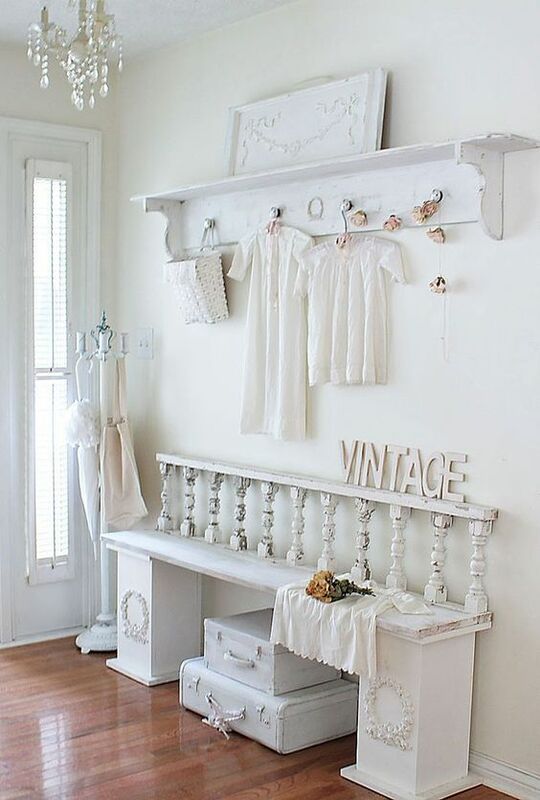 Choose right accessories, even if there isn’t much space, you can always find something cool. 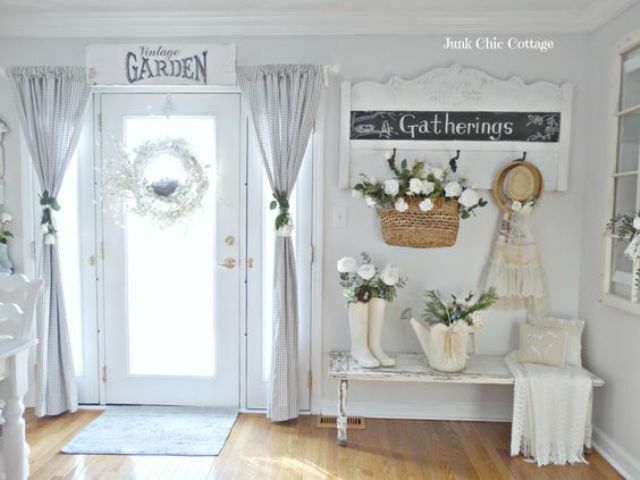 The accessories here may add some touches of other styles, for example, of rustic style – go for baskets, jugs instead of vases, antlers and other stuff. 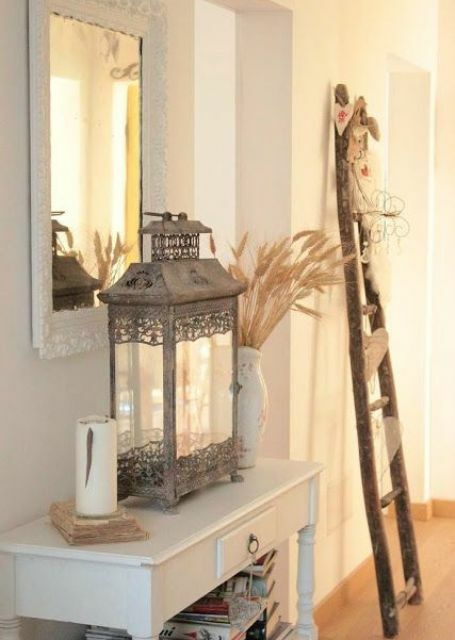 If you want something more refined, try French chic style and choose a crystal chandelier, some floral and lace textiles and chic vintage lamps.